This new restaurant boasts fresh, high quality “boat to plate” fish with quality toppings and seven amazing sauces. While it may seem like a new trend, this simple and addictive Hawaiian dish has been around for centuries. It’s basically Hawaii’s favorite food and for good reason: Poke is healthy, delicious and totally unique. 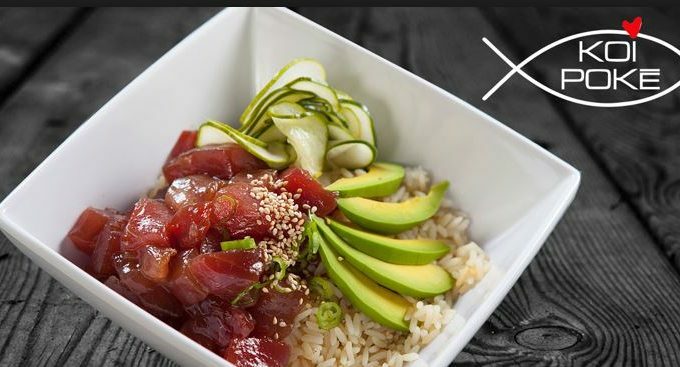 Koi Poke features the highest quality and freshest “boat to bowl” fish available anywhere in AZ, only the best quality toppings and 8 amazing sauces.